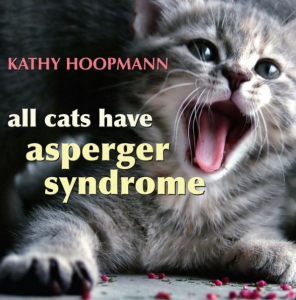 All Cats Have Asperger Syndrome by Kath Hoopmann ($14.95, hardcover, Kingsley, Jessica Publishers) is a playful look at Asperger Syndrome. Using photos of kittens and cats to illustrate familiar characteristics of those with Asperger Syndrome, this book shows the “difficulties and joys of raising a child who is different and leaves the reader with a sense of the dignity, individuality, and potential of people with Asperger Syndrome” (from bn.com review). 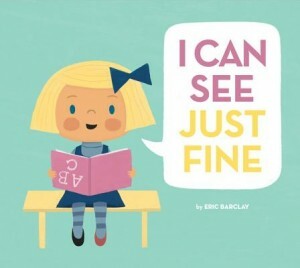 I Can See Just Fine by Eric Barclay ($15.95, hardcover, Abrams Appleseed) introduces children to Paige, who can, in her words, “see just fine”. The comical illustrations in the book prove otherwise. Paige is taken to see the eye doctor, and once her myopia is corrected, she begins to claim that her glasses are NOT too dirty to see through.